Georgine Saves » Blog Archive » Good Deal: Bissell Big Green Professional Carpet Cleaner Machine $309.99 + Ships FREE! TODAY ONLY! Good Deal: Bissell Big Green Professional Carpet Cleaner Machine $309.99 + Ships FREE! TODAY ONLY! 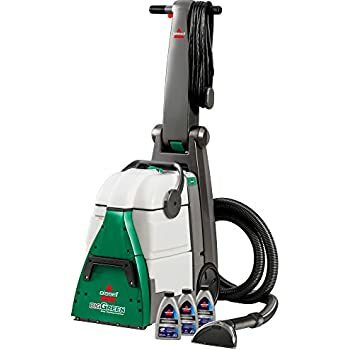 #ad Today only, 4-07-19, the Bissell Big Green Professional Carpet Cleaner Machine is $309.99 (regular price $429.99) and ships FREE from Amazon.com. Powerful motors, an extra-large PowerBrush to pull out deeply embedded dirt, and powerful suction are just a few features that make this deep cleaner stand out from the rest. Two simple tanks keep the clean and dirty water separated for easy cleanup and fewer trips to the sink. If Spring cleaning is on your list, this swill make it faster and easier!